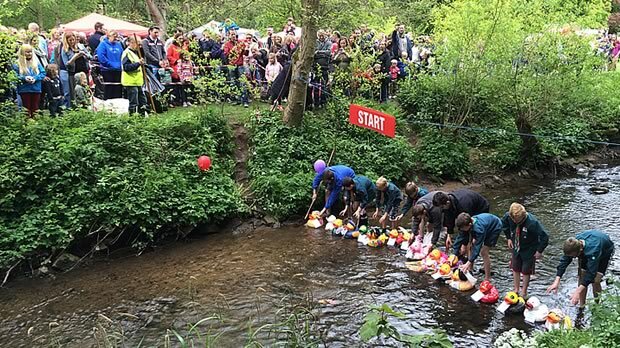 On Sunday 15th May, Bramhall Park will play host to the 2016 Bramhall Duck Race. This annual family fun day actually consists of a variety of races, from public heats of numerous small rubber ducks to speciality and celebrity races, to local businesses racing bigger and highly customised rubber ducks, braving the currents and shallow rapids of the Ladybrook river, going beak-to-beak in this popular event organised by Bramhall and Woodford Rotary, in support of local charity Francis House Children’s Hospice. 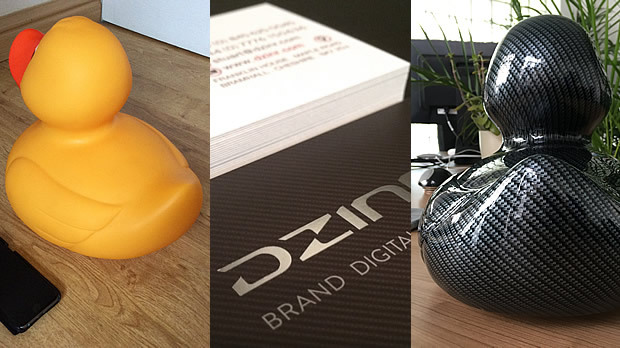 This year, Dzinr is proud to be joining more than 120 local businesses who have created some wild and wonderfully customised ducks, hand or spray painted and adorned with all sorts of decorative accessories that relate to their products and services. As a creative and digital design agency, we felt we had to deliver a concept that reflected some thinking outside the box, yet still related to the core theme of racing. 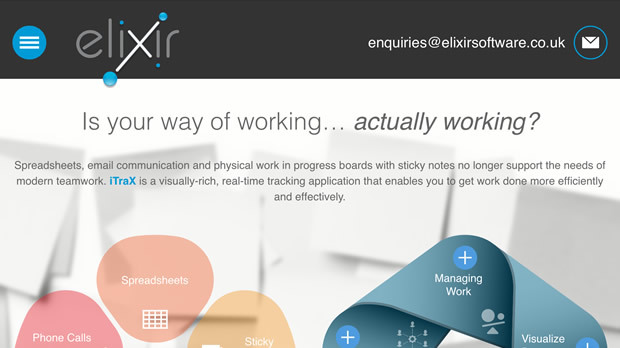 Nearly 10 years ago, we worked with a client who was then only just introducing the innovative surface printing process of ‘Water Transfer Printing’ into the UK. The process involves laying and chemically dissolving a thin film of a desired pattern on the surface of a special tepid water bath. The object to be printed is then pushed at an angle through this layer, which aided by the fluid bath, wraps and adheres the pattern to the object. Once dried, the object is then finished with a clear sealer for durability and waterproofing. 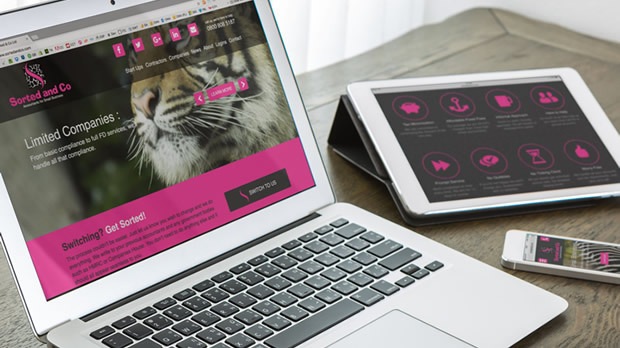 Due to a range of in-your-face patterns available, its popularity has grown with the custom car and bike communities and can now be carried out by a number of UK-based specialist companies, becoming know as ‘Hydrographics’. 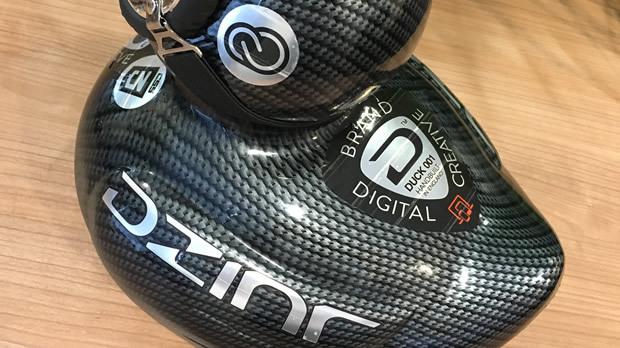 The Dzinr team’s vision was a classically subtle carbon fibre effect, to reflect the real material’s use in the racing industries and to match in with our carbon black business cards. However, due to the duck’s intentionally designed buoyancy in water (most objects hydrographically dipped are heavy and sink well), as well as it’s surface flexibility, the companies Dzinr initially approached to ‘dip the duck’ said it couldn’t be done; the duck would be difficult to hold under the water and its surface would be too ‘squishy’. Admittedly, this process was designed to coat very solid and sinkable objects (alloy wheels, engine covers, bike fuel tanks, exterior and interior trim etc). 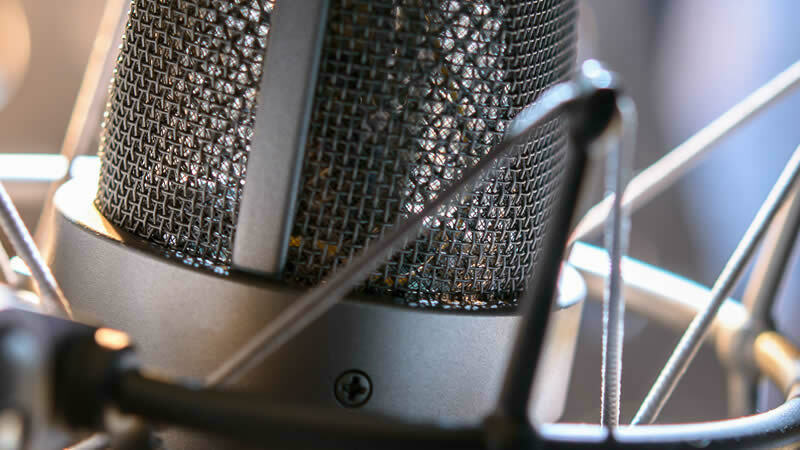 Despite similar initial reservations and warnings of possible imperfections, one local company rose to and successfully overcame the numerous challenges. 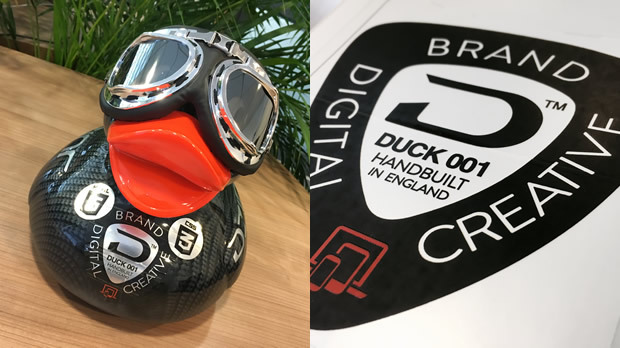 Collaborating with our studio who created the vision, branding and full design, Rimtech Designs in Bredbury, prepared, trialled and finally successfully dipped our duck using a custom hydrographic mix (with additives to help the carbon pattern cope with the unusually flexible surface). He was then finished with multiple coats of a counterpart gloss sealer to provide a deep sheen and protection to the pattern underneath. Thanks to Adam’s perseverance at Rimtech, the result is a fantastic and unique carbon fibre finish that has already attracted much attention and praise from those that have caught sneaky peaks during production. If they can hydrographically dip a giant duck, they can probably dip anything! Back in our studio, Dzinr’s graphic team added the finishing touches with a racing livery with weather-resistant metallic silver decals to display the Dzinr brand and others related to our industry partners. 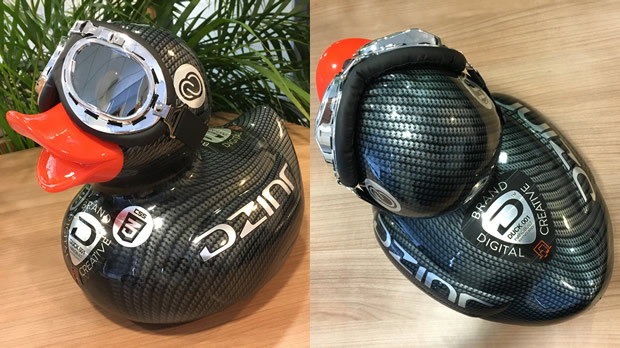 For good measure, we also equipped our duck with a pair of retro racing googles to look the part. We’re crossing our fingers this racing pedigree appearance ensures our ‘Dzinr Duck’ is in it to win it, or at least makes it past the finish line in a respectable position! On Sunday 15th May, Dzinr will be racing alongside other big duck contenders from local businesses in the 2pm “Prydduck Paddle”, sponsored and represented by our clients and friends Prydderch Financial Planning. We’ll also be slip-streaming around other racing clients and friends, including Mosley Jarman, Amaranth, I Love Bramhall, I Love Cheadle Hulme, Juniper Cafe, Village Square Bramhall, Construction Q, Mercato Italiano, My Buzz Technologies, Modiste, SOS, Sharon Wallis Photography, and Sainsbury’s. As well as lots of duck racing and some fabulous winning prizes, there will be sideshows, a bouncy castle, games, singers, dancing groups and craft stalls. See more on the event at I Love Bramhall | 2016 Bramhall Duck Race.